So, for the past month I have been living a dirty secret in blog world. I read blogs posted by these super women who have 6 kids, work full time and manage to do everything (probably even sewing their own clothes.) But my secret? I don't even cook my own food. For the last month I've been living every woman's dream - lunches and dinners provided by this wonderful place called Fit Fresh Cuisine. It's a restaurant of healthy food in my gym. They had a deal, for about $6 a meal for 20 days I received lunches and dinners that were healthy, local, full of nutrition, portion controlled and delicious! Mediterranean Chicken Salad. the best part of Fit Fresh Cuisine? They have the most amazing dressings. Shrimp dinner - I can't remember what this was called, but MAN the shrimp rocked! 4 weeks came and went very quick, but during that time I saved the recipes that I liked the most, searched for similar recipes online. I've decided the way to go is clean eating! It's full of basic foods, heavy on the veggies, but includes meats and whole grains and desserts. My goal now is to take the lessons I've learned from this delicious and healthy food and continue it on my own. This is my first week! It's been a slow start. 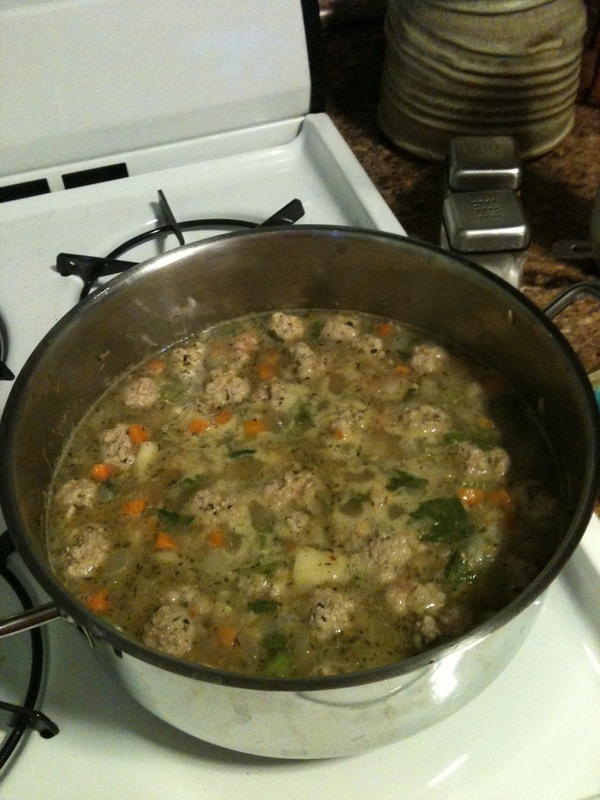 I have made Turkey Burger Sliders, Moroccan-style Stuffed acorn Squash, and tonight is Italian Wedding Soup from Clean Eating Magazine, April/May 2012 (watch for the recipe, soon to come)! Sorry, but the only pictures I have right now are for the soup (am I the worst blogger or what!) I have to say, the soup is amazing. Something that actually makes me feel like a cook! It's uber tasty and has a great kick to it. 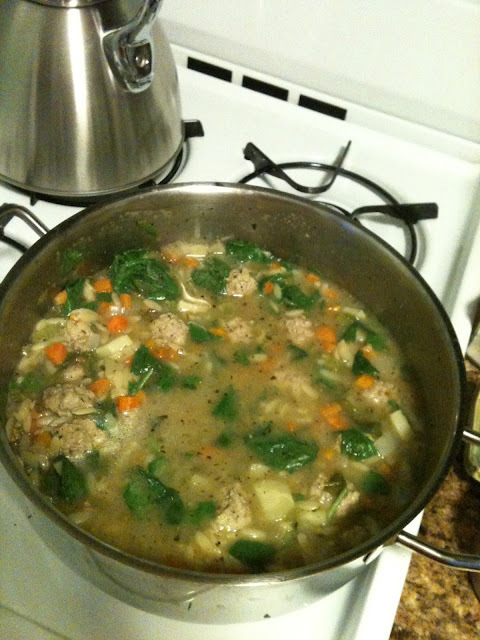 Truly - if you are looking for something healthy and delicious, this is the soup to try! 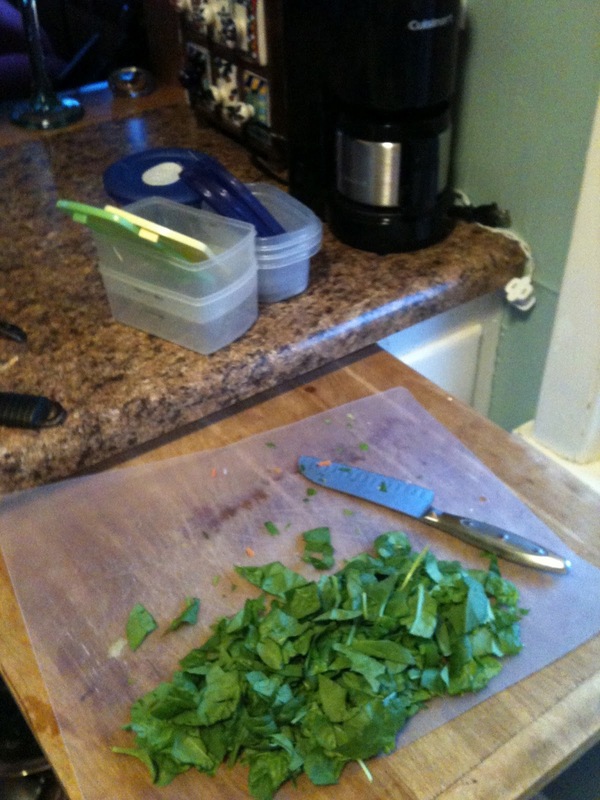 It takes a lot of chopping with all the veggies, but it will be worth it. With all this cooking I'm planning on doing I think my best investment could be a knife set! Anyone have any suggestions? I get heckled by my family for how bad my current knives are. I'm planning on freezing half to enjoy down the road. I'm eating healthy, but one of my guilty pleasures? 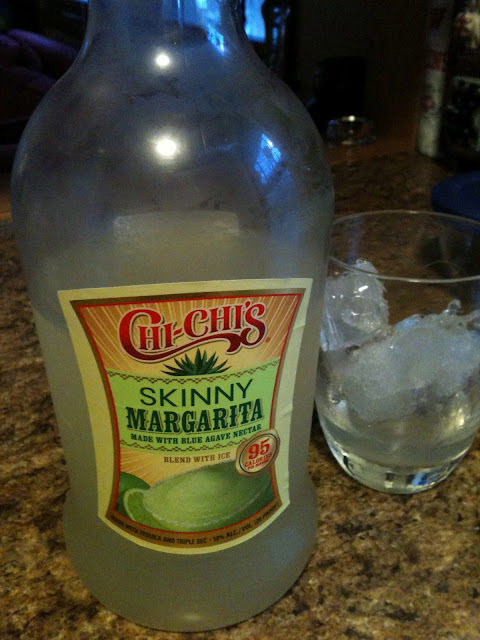 I highly recommend this margarita - way better than that other popluar skinny brand - not to be named - Cheers! 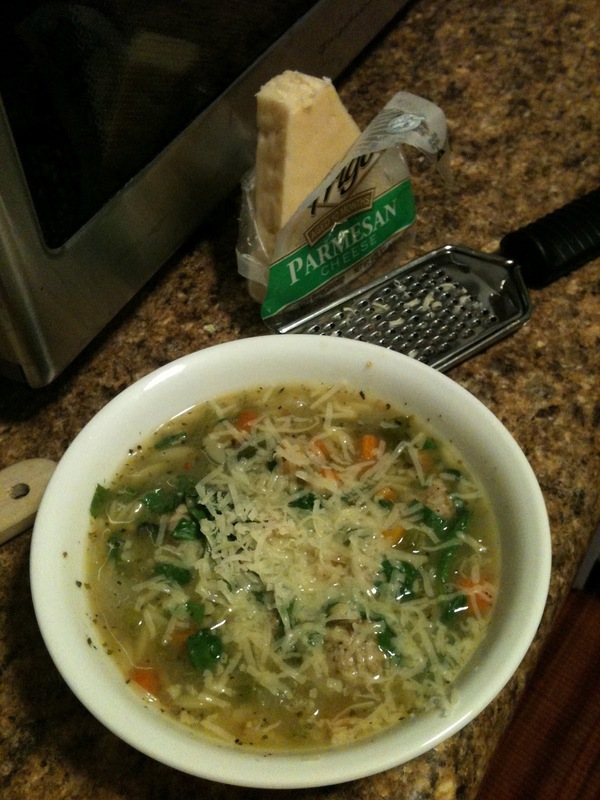 Add some fresh parmasean - muah! So good!